Whether you're a homeowner or commercial business owner, solar energy is a clean, affordable, and sustainable way for anyone to generate electricity. While many people make the switch to solar for its substantial financial benefits—such as lower utility bills and increased home value—the significant environmental benefits are equally important. If you're thinking about switching your home to solar, it’s worth taking a few minutes to consider the following 3 eco-friendly advantages. Harmful carbon dioxide and methane emissions from fossil fuels, our traditional energy source, are leading contributors to global warming and decreased air quality. But generating electricity with solar panels produces no greenhouse gasses whatsoever. In fact, the solar capacity currently installed across the United States is expected to offset as much as 16.8 million metric tons of carbon dioxide a year. That's a huge step towards mitigating the human impact of climate change. While all manufacturing processes require some water, solar photovoltaic cells don't need water to generate electricity. This is one of the biggest, yet least talked about environmental benefits of solar. Traditional biomass and geothermal power plants, such as natural gas and coal-fired facilities, require massive amounts of water to facilitate their vital cooling requirements. With solar energy there is no pollution of local water resources, nor does their operation (which again requires NO water) strain local supplies through the competition with agriculture, drinking systems, and other vital water needs. Solar energy is renewable. The sun is the world's most abundant energy source, producing an amazing 173,000 terawatts of solar energy every second. That's more than 10,000 times the world's total combined energy use, and it can be used over and over again. In contrast, fossil fuels are non-renewable and while they may seem in abundance today, there will come a time when the world will run out. Or, the cost of finding and extracting these sources will become too expensive. By that time, the resulting damage to our financial infrastructure and environment may be unrepairable. Switching to solar today is the best way to hedge against the reality of finite fuel resources. With the 30% ITC coming to an end this year, 2019 is surely the most important year for solar in more than a decade. 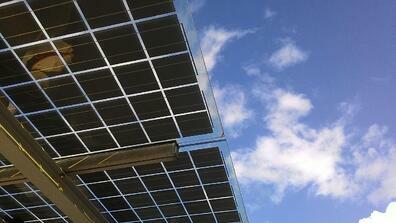 Contact one of our qualified solar integrators to start your solar project today!